If you have ever read a children’s book illustrated by Sir Quentin Blake, you are probably familiar with Blake’s playful and original handwriting style. The folks at Monotype were tasked with creating a typeface that replicated the unique form of Blake’s writing in an authentic and natural way. Monotype’s solution included using four subtly different variants of each letter that was selected from a large collection of writing samples. The variants allow for the typeface to seem to have random alterations and diversity among the letters, making it appear more like handwriting. The result is a typeface that doesn’t just look like Sir Quentin Blake’s writing, it acts like it too. The first new Dr. Seuss book in 25 years, was released yesterday! 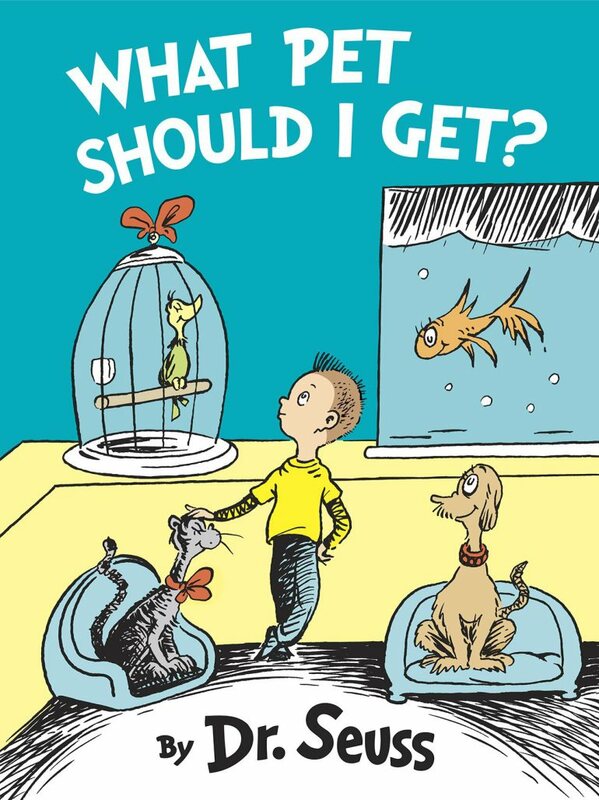 “What Pet Should I Get?”” was discovered in a pile of papers by Audrey Geisel (Dr. Seuss’s wife) shortly after his death in 1991. It is thought that he wrote and illustrated the book sometime between 1958 and 1962. And there are more unpublished books from that posthumously discovered pile of papers to come! I have read “Hop on Pop” to my son so many times I have it committed to memory. I sure he’ll like this new one too. Earlier this year, before the “David Bowie Is” retrospective opened in Toronto, David Bowie revealed his top 100 must read books. The list provides a captivating look into the mind behind Ziggy Stardust and Major Tom. I like that Bowie’s list is expansive and diverse – including comics, autobiography, history, counter-culture, travel writing, poetry and lots of fiction. I also like that the books are relatively new, with only two selections being written before he was born. Bowie is known as “a voracious reader” who is reputed to read as much as “a book a day”. Here they are in reverse chronological order.